Panoramic high resolution image of the Eastern Sierra as seen from Carson Valley. 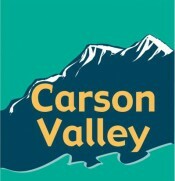 Major peaks, passes and canyons are labeled. A must have for your office or den wall. This image captures the Eastern Sierra as seen from Carson Valley. Peaks are labeled with names and elevations, and passes and canyons are also labeled.